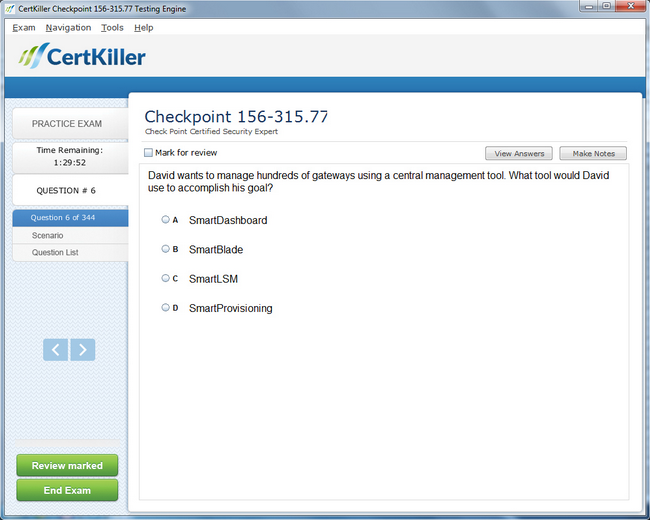 Get Certified Successfully With Our CCSE R77.30 Preparation Materials! 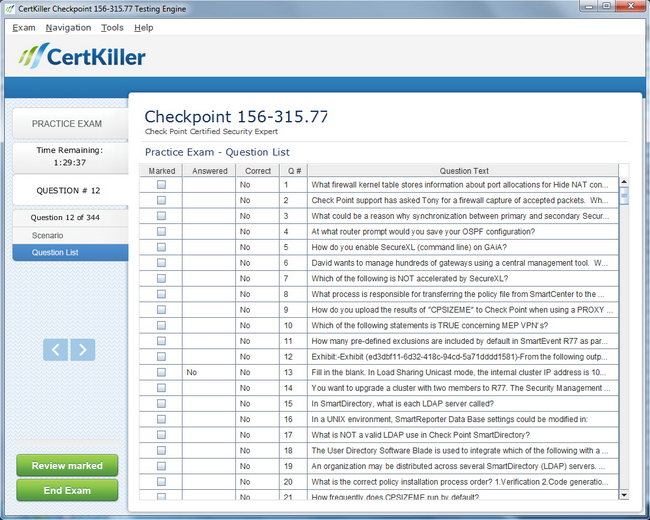 This is a collection of 156-315.77 questions coming straight from the current 156-315.77 questions pool. 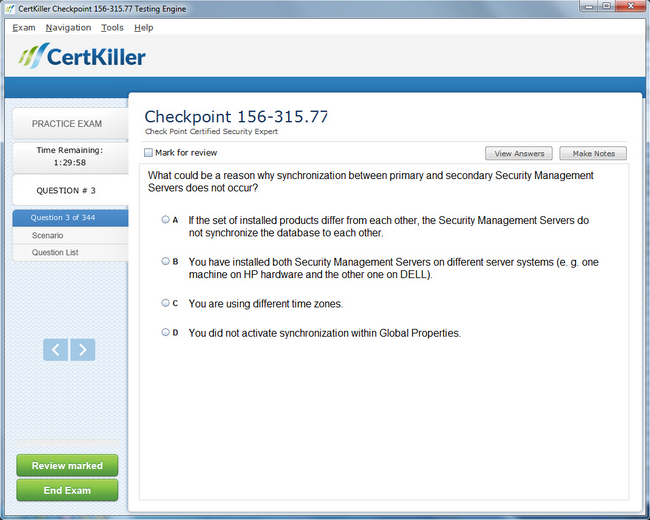 This compilation is set in an interactive environment, the exact simulation of the real Check Point Certified Security Expert exam, the way you will experience it in the testing center. All questions and answers included in this compilation have been reviewed and approved by Checkpoint certification experts and professionals with at least a decade of experience. 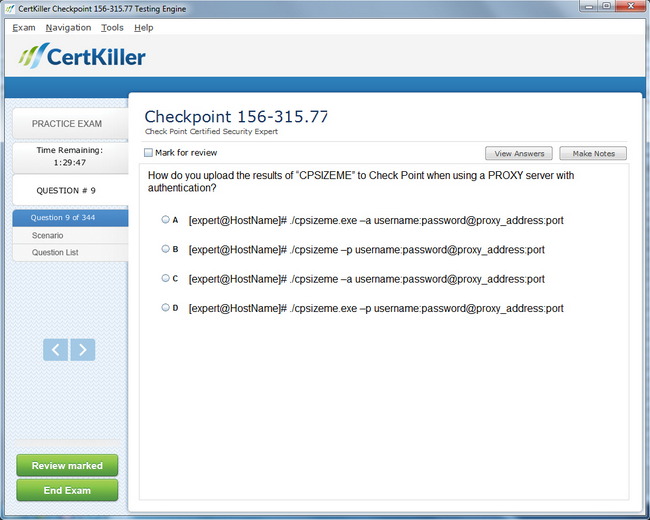 Experience CertKiller Checkpoint 156-315.77 exam Q&A testing engine for yourself.